Our pre-team practices are designed to safely transition athletes from instructional gymnastics to becoming part of a competitive team. Is your athlete interested in joining our team? Read more about our individual teams and call (816) 347-8008 to schedule and evaluation with one of our coaches. 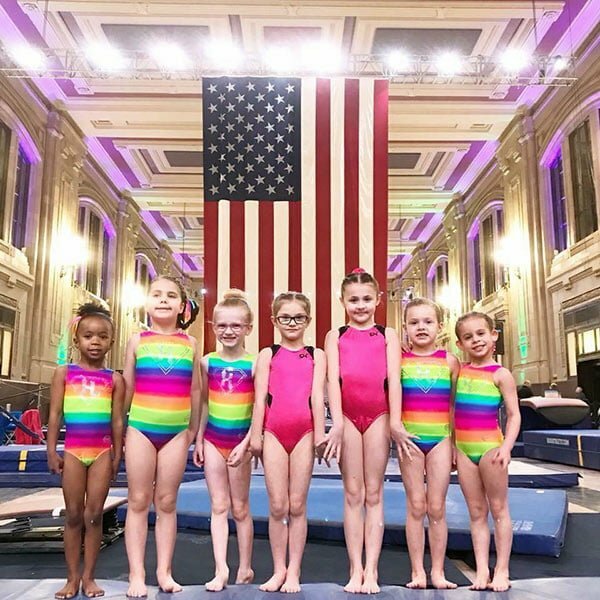 This team is designed to engage 3-5-year olds from our Mega Tots program and provide them with a fun introduction competitive gymnastics! Athletes will compete in at least one meet and have the options to compete in up to 6 local meets. This is a great way to start the journey of competitive gymnastics and the team experience. Athletes will compete in team selected leotards and have the option to coordinate with warm-up and team bags. Designed for 4-6-year olds who have an interest in a more competitive and team environment. Super Stars practice twice a week to prepare for 3 to 6 local competitions from December through April. Athletes are required to buy the competitive team attire of a leotard, warmups, and bag in order to show camaraderie and solidarity with their teammates. We believe in developing our students by preparing them for the road ahead and setting them up for excellence.